The perfect way to boost literacy and develop close reading skills. A fully photocopiable book of finely levelled short texts designed to build comprehension and help children engage with what they have read. Close reading involves careful study of a short text passage – reading, re-reading and questioning the text. Through this process children deepen their critical faculty, which is also essential to help them question and understand their wider world. 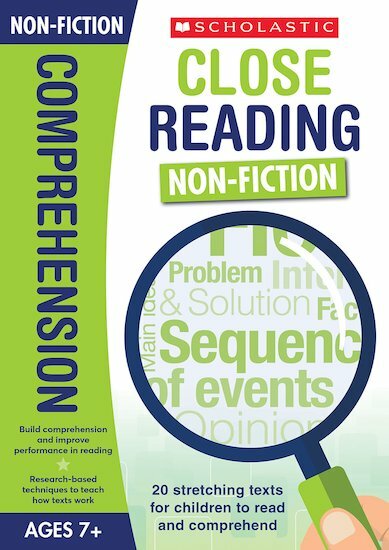 Complete with a detailed introduction, this book contains 20 suitably complex short texts for close reading, linked to key comprehension objectives and including examples of annotated texts.